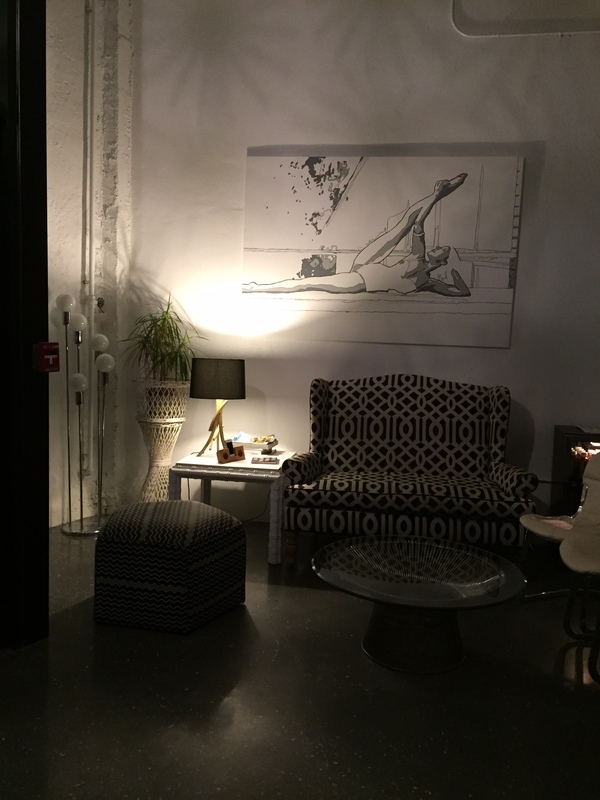 This studio is brand new to the LA barre scene, replacing Pop Physique Hollywood. When they opened on January 1st, the held free classes for a week but I couldn’t make it. Since Instagram is their only form of communication until the website is complete, I saw that they were having two more free classes and signed up immediately. After driving around for 15 minutes to find permit parking galore, I finally put my flashers on and headed in to ask the front desk. Turns out there is a free lot on the corner of Wilcox and Cerritos. Since it is small, sometimes it’s actually better to come super close to class time so you can grab a spot from someone leaving the earlier class. I checked in, signed a waiver, and headed into the studio, grabbing a mat, weights, ball, and resistance tube. Our instructor Toni was hilarious. 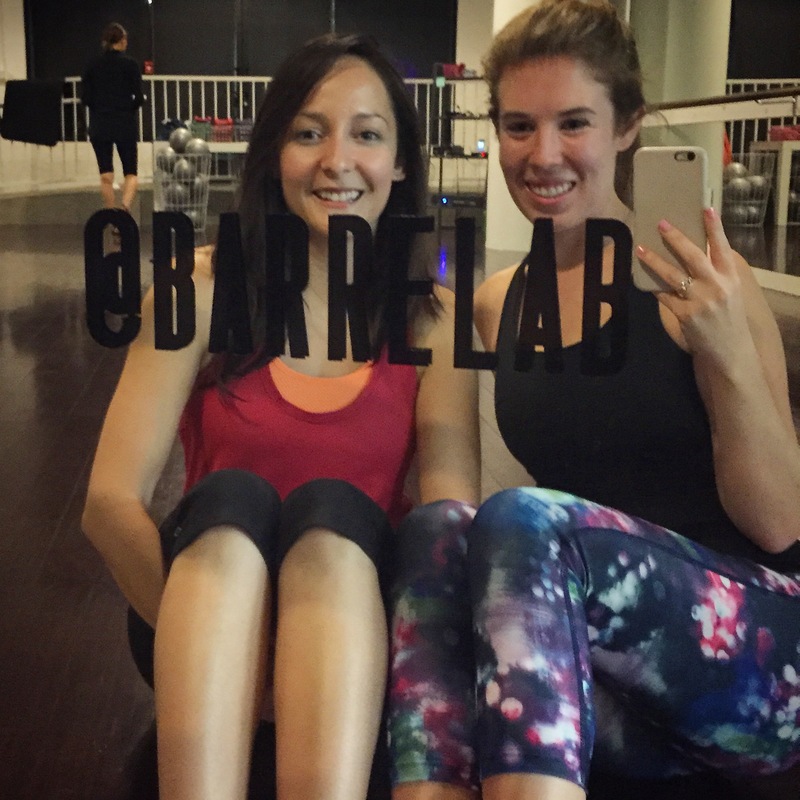 She has been teaching barre for four years and was very silly but helpful in correcting form. Class started with a warm up and then a plank that was literally MISERABLE. I swear it was 6 minutes long and every person dropped down at least once. I was dripping sweat already. Next we used our light and heavy weights to do arm work. They felt even heavier than usual because of how exhausted my body was from the plank. 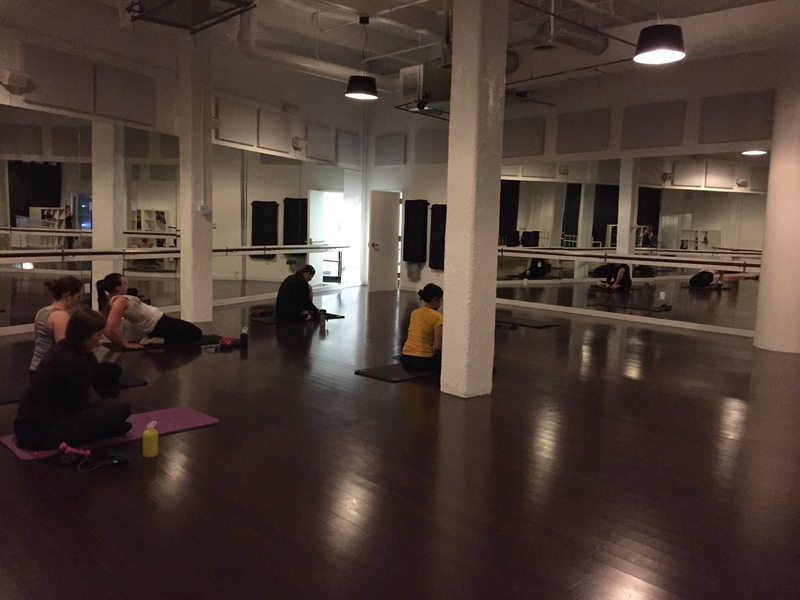 We were at the barre for the remainder of class, working on thighs and butts, doing yoga poses in between to rest. The resistance band and tiny, low pulses wore out my legs really quickly. We ended with a long ab set, using the ball, and then the lights were turned off for a stretch. Though I cant speak to the food, Salar de Cahuenga is right down the street and the word “crepe” on the building always catches my eye. Yelpers rave about the orange juice but seem so-so about the service. If all else fails, head west on Franklin to Birds (for cheap, yummy salads, sandwiches, wraps), Bourgeois Pig (for coffee), or La Poubelle (for French food). 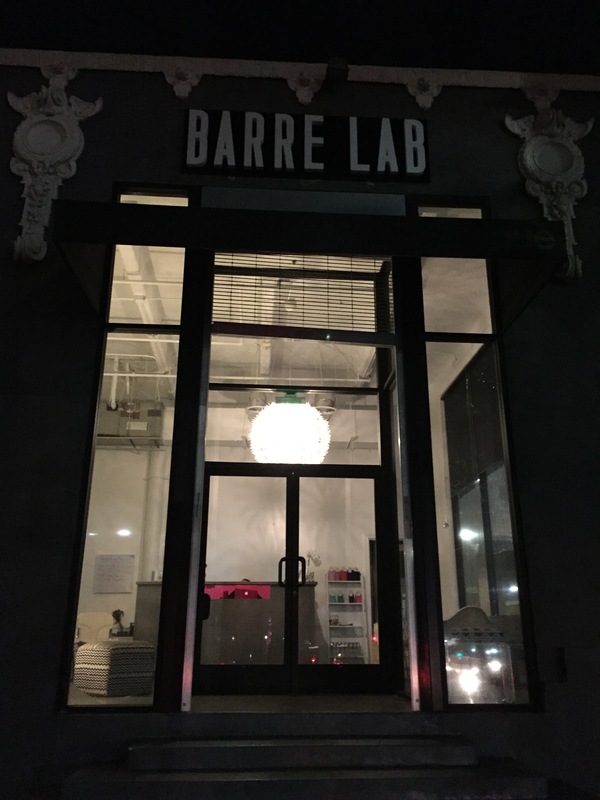 Keep an eye on Barre Lab because they are going to be doing some big things! In the future they hope to add a bunch of different classes to the schedule including cardio, barre bootcamp, and hula hooping. They also want to add a nutrition aspect to utilize the training of a lot of the instructors. The hardwood floors make it a little difficult to hear the instructor at times.